The first Star Wars: Anthology film, Rogue One: A Star Wars Story hits theatres this December and official details about the film are still few and far between. However, the rumor mill has been heating up lately and now our friends over at MakingStarWars.net have some new details about the different types of stormtroopers we can expect to see in the Gareth Edwards directed film. As usual, there is a chance this may not be accurate but if you are trying to avoid all Rogue One spoilers then stop reading now. This is your SPOILER ALERT! 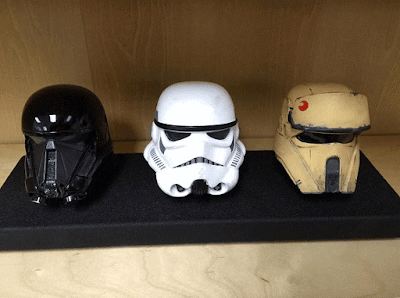 The new stormtrooper (codenamed “Shark Yellow” during the production) is a curious mixture of new and old. We saw the head for this trooper back when three helmets were put on Instagram by Donnie Yen.